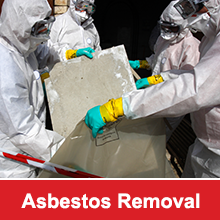 A Review of Stratco Cyclonic Roofing and Walling Options	What is Asbestos Cement and is it Dangerous? Apart from the environmental benefits, it has been proved that green and eco-friendly roofs increase the productivity of people working in commercial buildings and they also offer a habitat for organisms and plants. The heat island effect is about the fact that highly-developed urban spaces are always much warmer in comparison to semi-urban or rural areas. This is also responsible for 5%-10% increase in the demand for electricity in urban areas. Having a green roof is a great way for property owners, both residential and commercial to save money on their power bills. Studies have proved that green roofs can cool indoor air by at least 3.6° F in the summer, and reduces the annual energy demand by 6 percent. In addition, green or eco-friendly roofs also hold 50%-80% of annual precipitation. But these green roofs are not just about plants and shrubs any longer. Green roof experts are now incorporating PV (Photovoltaics) systems to effectively generate renewable and clean solar energy. When you install solar panels on green roofs, you are able to enjoy social-environmental benefits and cost-saving. You will find that it saves you a significant amount of money on your power bills. Green roofs are also called living roofs and they cover buildings with soil & plants. The water evaporation that is caused by these plants makes the rooftop noticeably cooler. This particular effect ensures that the photovoltaic cells operate at top efficiency. Panels that have been installed on a green roof will also produce much more energy; up to 16% more, in comparison those that have been installed on a standard roof. This is especially true in the hot summer months. In addition, green roofs also help in reducing dust and pollutants from the air (which can hamper the PV cells ability to work optimally). These green or environment-friendly roofs are built in a number of residential and commercial buildings and architects are also finding that there is a huge demand for them. The roofs can capture rainfall and that water can be harvested to be used for watering plants at the ground level as well as in the bathroom areas. The PV cells provide clean energy to the building, making the entire setting environmentally-friendly. 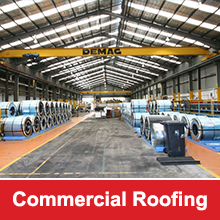 These roofs also reduce carbon emissions and the more extensive they are, the more noticeable the benefits. But green roofs are not meant only for large scale projects or bigger houses. It is possible to install a green roof even on small homes. A 540sq ft green roof that has been installed perfectly can capture a significant amount of rainfall and adding solar panels in a definite advantage. If the temperatures rise too high, the PV elements actually lose their efficiency and they may even shut down. Green roof designers counteract this particular phenomenon by ensuring that these PV modules are combined with an extensive green roof. Local governments are also creating a number of codes that will incentives PV cells installations and Australia is now making a lot of important policy goals in this direction. These steps will go a long way in increasing awareness about green roofs and encourage people to opt for them. The need of the hour is to find more environment-friendly options for everyday problems and green or eco-friendly roofs come out tops on all fronts.